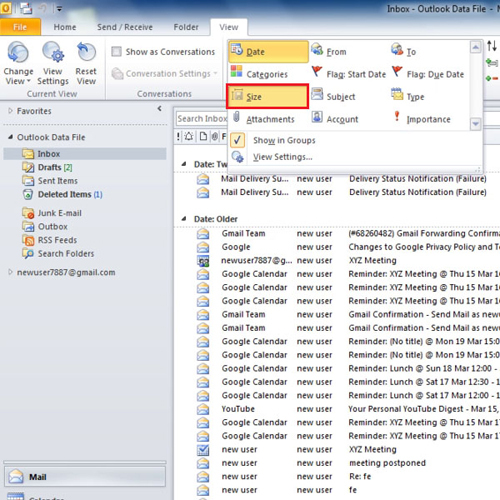 You can sort out your Outlook mail in different ways by specifying the various viewing options. This allows you to arrange your Outlook mails in the inbox as per your wish. Click on the view tab in order to see the different arrangement options present. If you want to see from whom you may have received an email, click on from and all the messages will be arranged sender wise alphabetically. To arrange the email date wise, click on date. In the same way, you can arrange email by their sizes as well. In this option, Outlook will group the messages with the same size together. 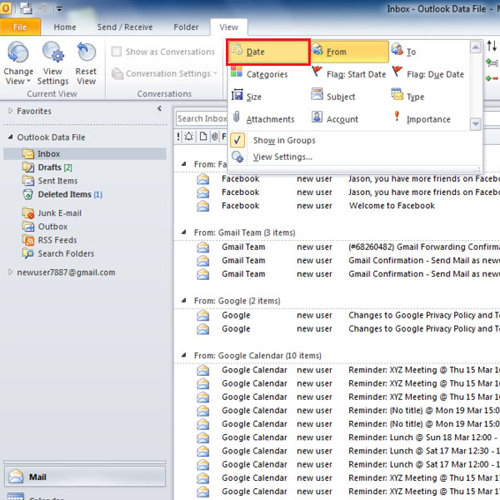 In Outlook, some of the arrangements are saved and you can change the arrangements given in the information bar. To arrange in Outlook from there will be the same as selecting them from the view tab. If you click on “from” on the information bar, you will notice that in the view tab “from” will be highlighted. If you want to sort by size, follow the same step and you will notice that the size button in the view tab will be highlighted. 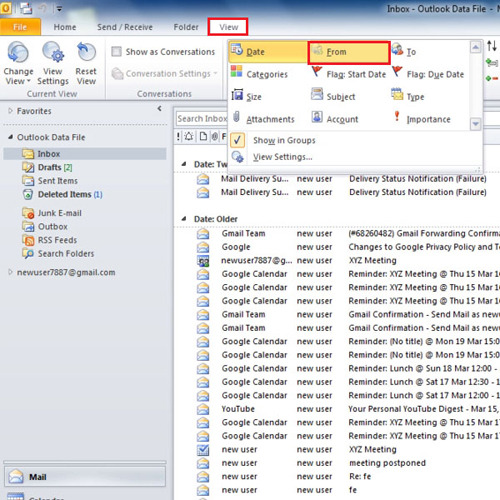 This is a quick way to sort your Outlook mail if you are not in the view tab.